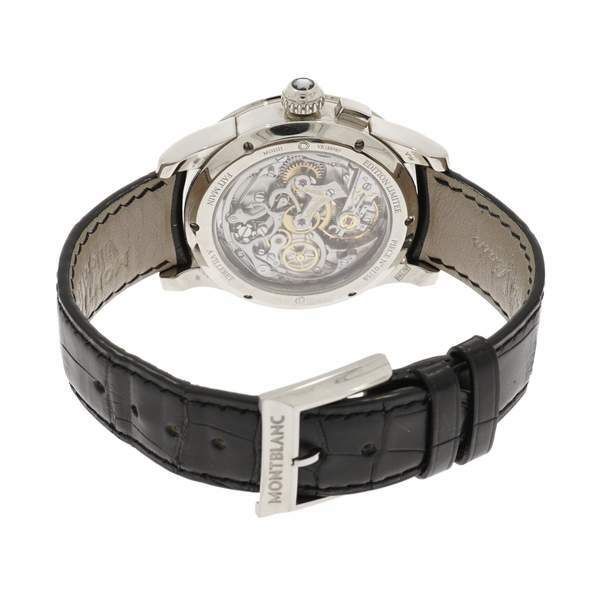 Montblanc Pulsographe crafted in white gold. This timepiece was crafted in a Limited Edition of 58 pieces. It features a manually wound Minerva movement with indications for the Hours, Minutes, Small Seconds and single button 30-minute Chronograph. 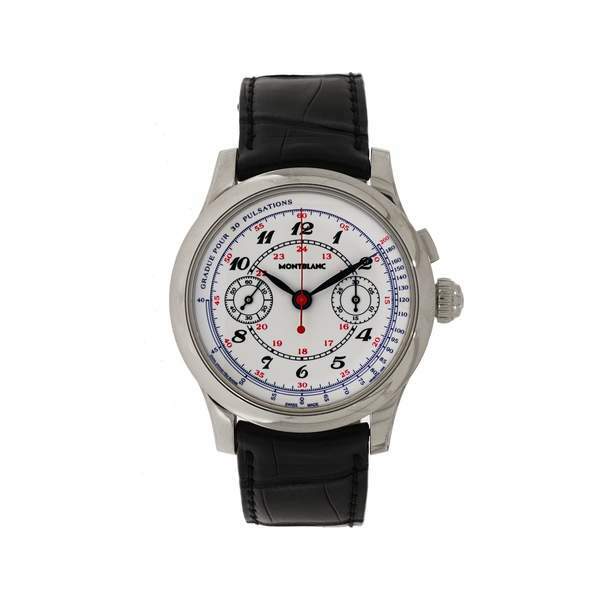 The white Grande Feu Dial has black and red Arabic numerals with a Doctor's 30 Pulsations Scale around the edge. 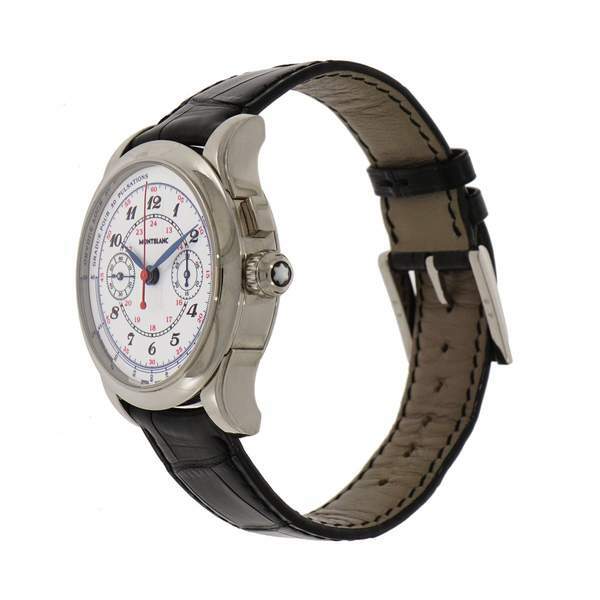 The case measures 39mm in diameter and it has a total thickness including the crystal of 13mm. 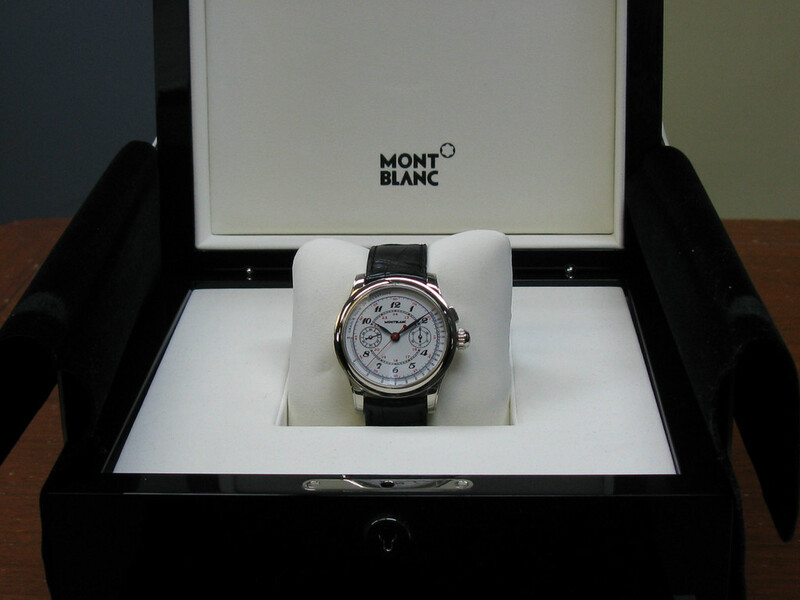 The watch comes complete with the original Montblanc box and papers. 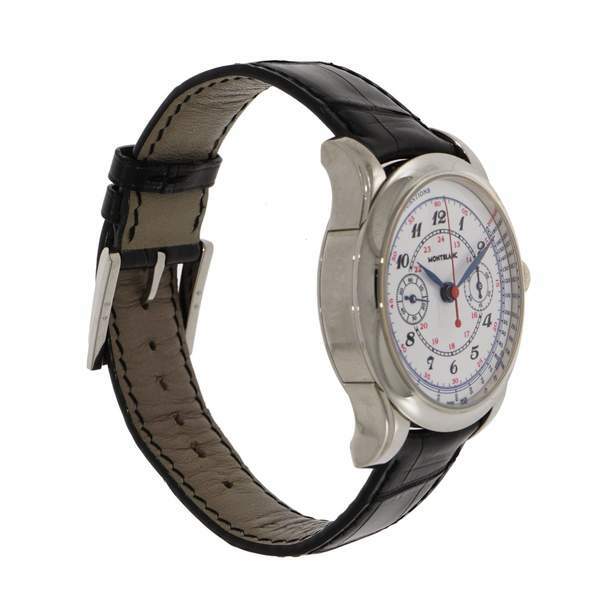 This watch is here on consignment. No offer will be neglected.